Do you need to re-order your medication? You can order repeat prescriptions online. We run many clinics for the management of chronic diseases and offer a wide variety of medical services. West End Medical Practice are proud to serve our patients in Edinburgh. OPEN ACCESS FOR WEST END MEDICAL PRACTICE REGISTERED PATIENTS ONLY runs from 08.30 until 10.00, Monday to Friday. No appointment necessary – registration for this is available from 8am when the surgery doors open – please give your name to the receptionist and we will add you onto the system. We usually have three doctors doing the open access every day and as long as you are in the building with your name on the system by 10.00, you will be seen by one of the GPs. If you present after 10.00 you will not be seen. Please note that wait times can be in excess of 2 and half hours in some cases. Please note that you may not in fact need to see a GP. You can refer to the additional sections on our website regarding musculoskeletal conditions, minor injuries, optician services and the services provided by our nurses. Open seven days a week from 9.00am to 9.00pm. Pharmacy, Community Physiotherapy, Community Nursing, Community Mental Health, Dietetics, Chiropody, Dental Services, Radiology and a range of consultant clinics. It is very important that we hold a correct address and telephone number for you. If either of these changes, please notify us. You may change your address by notifying the Practice in writing and we would ask that you provide a valid proof of your new address with this information. Acceptable proof of address should be a recent council tax bill, recent utility bill, television license or an in-date lease or rental agreement. Our Practice List is restricted, we are currently operating a registration intake of 10 patients per week only. Once this limit is reached, we will add your name to our waiting list and will contact you once a place becomes available. Please contact the Reception Team on 0131 225 5220 for further information. The reason for operating this system is so that we can safely control the numbers of new registrations to the Practice – please accept our apologies in advance for any inconvenience this may cause. 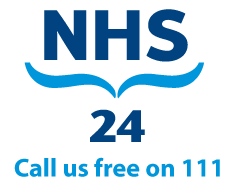 Information regarding all surgeries in your area can be obtained from NHS24 at www.nhs24.com or by telephoning the Health Authority Enquiries on 0131 275 7038. The Practice is considering new ways of contacting patients in order to decrease reliance on paper-based systems. To this end we would like to start collecting accurate email addresses for patients so that we may correspond in that way. We would like to make patients aware however that anything we send from the Lothian Network to a web-based address is no longer considered strictly secure. The sort of correspondence we would use email for would be routine recall letters and not sensitive health information, unless with the explicit consent of the patient. If you would like to provide us with consent to contact you via email, please complete the consent form.